It was only within the last century that syphilis moved from dreaded life-long companion to minor nuisance and the villain in lifetime movies. The first great outbreak in Europe happened during the 15th century. 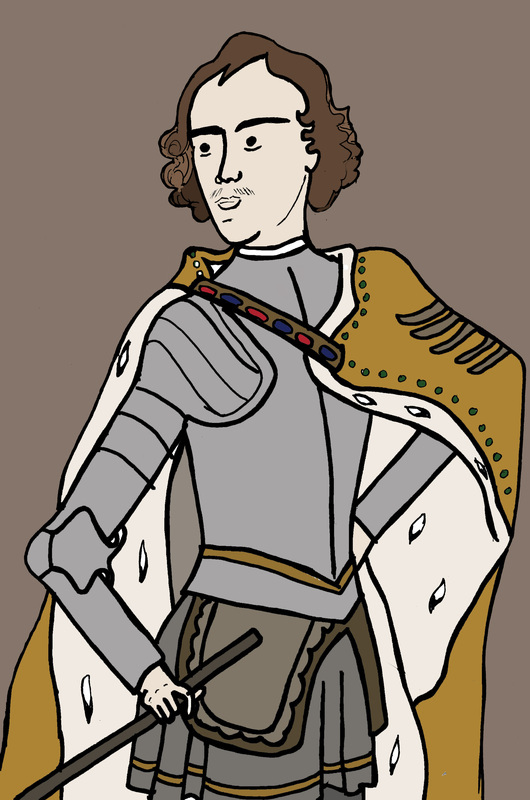 Charles VIII of France besieged the kingdom of Naples, claiming it was rightfully his through his Angevin line. It’s unknown whether the disease showed up within the walled city first or the attacking army and for that reason each side blamed the other for their sudden misfortune. The French believed the city had released its prostitutes for the explicit reason of weakening their number and the city believed the French had brought it with them. Whoever was responsible, Charles’ army was so weakened by the outbreak, he blamed the “Neapolitan disease” for their failure. Naturally, as troops returned home, the disease came with them and spread all across Europe. It later took on other names like “the Portuguese sore,”The Spanish disease” and “La Grosse Verole,” or the Great Pox. Great Pox, it was, as it affected even heads of state. Peter the Great was among them along with Henry VIII, Louis XIV of France and Ivan the Terrible.